World football’s governing body, Federation Internationale de Fooball Association (FIFA), agreed to publish a “legally appropriate version” of a report into allegations of World Cup bidding corruption. However, FIFA insisted Russia and Qatar will stay as hosts of the 2018 and 2022 tournaments respectively. FIFA President Sepp Blatter said he asked the executive committee to vote in favor of publishing the report. “We have always been determined the truth should be known,” he said. Only a disputed summary of Michael Garcia’s 430-page report into the bidding process for the 2018 and 2022 World Cups has so far been published. Releasing the full report, which is likely be heavily redacted to preserve witness confidentiality, is a change in FIFA policy. “We need to ensure that we respect the rules of our organization and that we do not breach confidentiality in a way that will prevent people from speaking out in the future,” added Sepp Blatter. The 78-year-old Swiss, seeking a fifth term as president, insisted later that there was no reason for Russia and Qatar to lose their rights to stage future World Cups. “At the current time, there is no reason to go back on our decisions,” he told a news conference, speaking in German. Addressing Qatar specifically, Sepp Blatter added that only an “earthquake” could change FIFA’s decision to hold the 2022 tournament in the Gulf state. “It would really need an earthquake, extremely important new elements to go back on this World Cup in Qatar,” he said. The Ameican lawyer, Michael Garcia, was appointed FIFA’s independent ethics investigator in 2012 and spent two years investigating all nine bids for the 2018 and 2022 World Cups following claims of corruption and collusion. Michael Garcia travelled the world speaking to bid officials and appealing for evidence of wrongdoing. However, Michael Garcia was unhappy with it, claiming it was “incomplete and erroneous”. 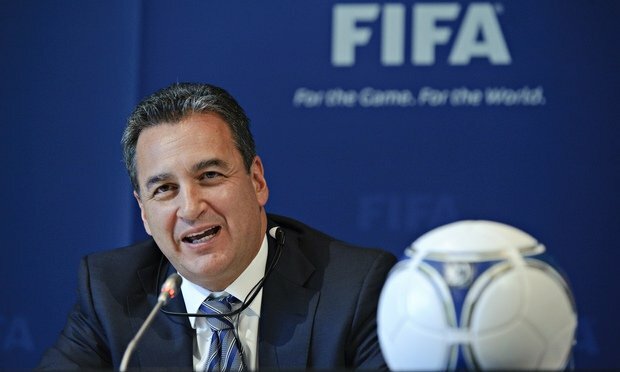 Earlier this week, Michael Garcia resigned, citing “lack of leadership” at FIFA.